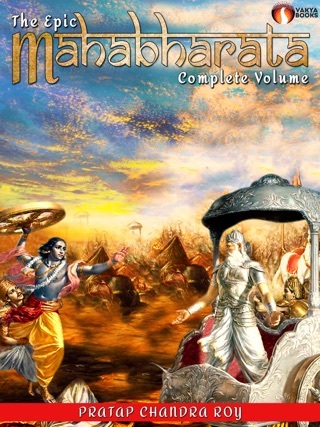 The Mahabharata is Set of 11 Volumes. Vol-2 contains Sabha Parva, also known as the "Book of the Assembly Hall", and Vana Parva, also known as the “Book of the Forest”. 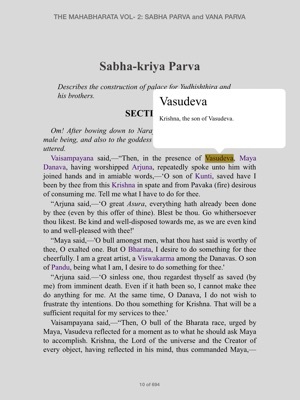 Sabha Parva, has 10 sub-books and 81 chapters. 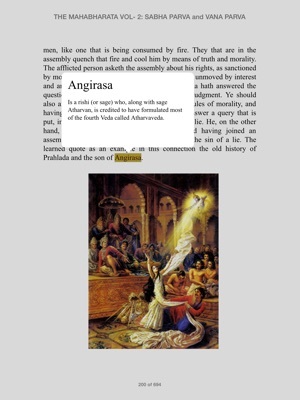 The book starts with the description of palace and assembly hall (sabha) built by Maya, at Indraprastha. 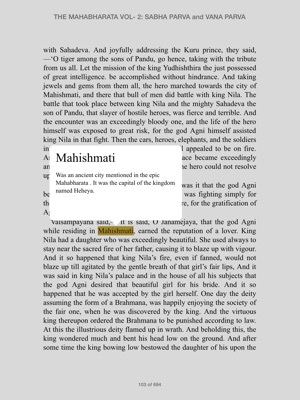 The middle sub-books describe the life at the court, Yudhishthira's Rajasuya Yajna that leads to expansion of the empire of Pandava brothers. 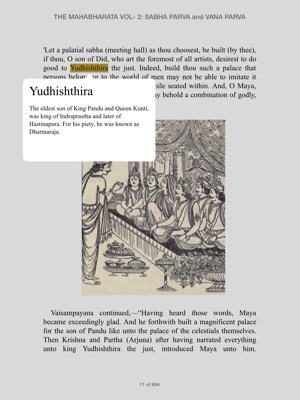 The last two sub-books describe one vice and addiction of the virtuous king Yudhishthira - gambling. 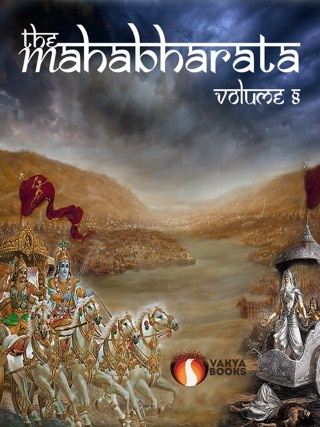 Vana Parva has 21 sub-books and 324 chapters. The First Part Vana Parva, contains 7 sub-books. It encludes Pandavas go into exile to the forest of Kamyaka to The battle between man-eating demon Kirmira and end with Sage Narada visits the Pandava brothers and he suggests tirthas to Pandava brothers - a visit to holy places in India.